[/caption] I finally made a trip to Mt. 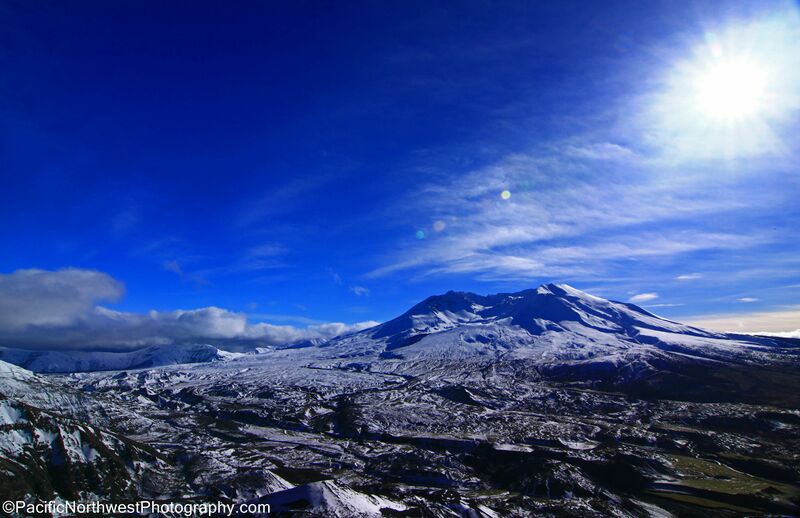 St. Helens while the sun was out. When I left Portland, the entire Valley was covered in heavy fog, which made me nervous about the conditions of the Cascades. However, once I drove past the first view point, the sun started showing itself. Mt. Adams and the rest of the Cascade foothills kept the storm clouds at bay. However, Mt. St. Helens was engulfed by the sun. This gave me the opportunity to hike from Coldwater lake to the Johnston Ridge Observatory view point. I hiked along the Hummocks loop and then connected to the Johnston Ridge loop . I brought my snow-shoes thinking that there would be plenty of snow but the trail was almost entirely bare. I only had to scale about 1/4 of a mile through the snow. Most of the Johnston Ridge was void of snow. However, the view from across the blast zone was awesome. It felt more like early spring than winter. The snow level was high but at least it made my hiking trip easier. Mt. Adams rarely made itself visible. I was able to capture several sunset shots and the moon also made an entrance. I’ll be going back as soon as the snow re-appears. 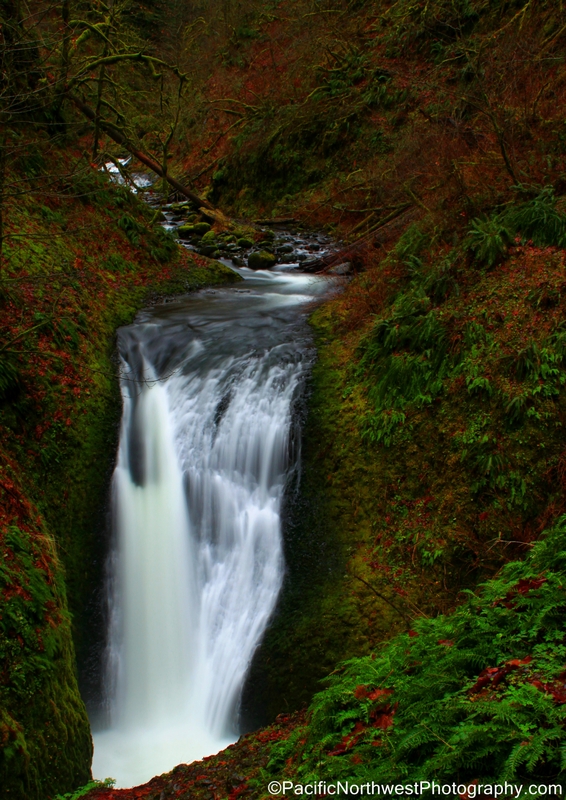 [/caption]Not another photo from the Columbia Gorge! Again, I hiked along the gorge. This time I hiked along the Eagle Creek trail. I hiked just past Tenas camp, before returning. It never rained but it sure looked like it wanted to. Again, I saw over 50 waterfalls that are usually not on this trail. The warm weather and rain sure is walloping the gorge. The trail was muddy at the beginning of the trail but soon improved. 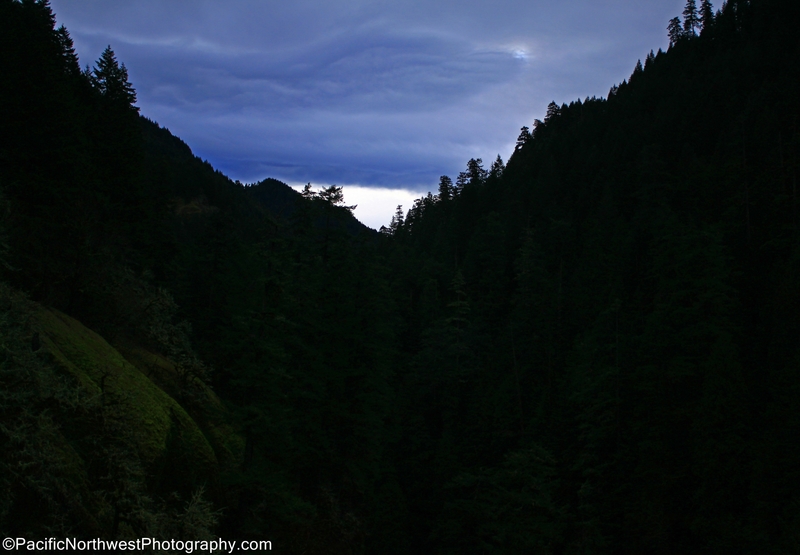 I caught this picture while I was winding through the steep part of the trail, just before Metlako Falls. I really got lucky on this since I haven’t been able to get a good shot of the clouds and gorge lately. The sun was trying to peek out but stayed well behind the clouds. It made for a great shot. [/caption] This is another awesome and scenic trail through the Columbia River gorge trail system. 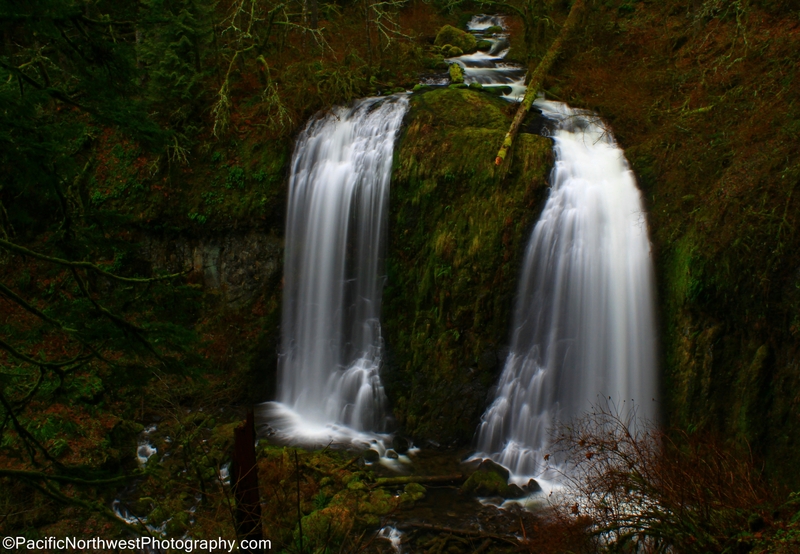 It starts at Horsetail Falls and continues past 4 waterfalls and then continues to Larch mountain. 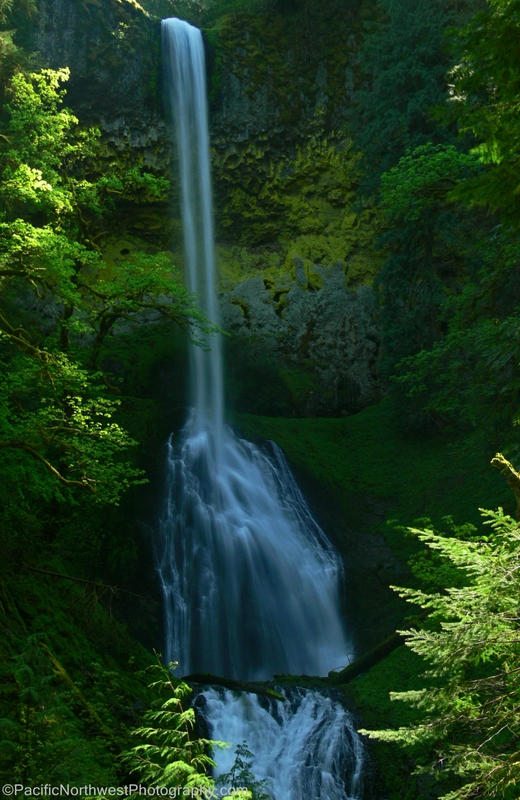 Oneonta Falls has always eluded me due to the heavy vegetation that covers most of the falls. However, I was able to get a great shot in Winter since there are less leaves blocking the view. I again got soaked on this hike. I was able to make it past the first bridge above Triple falls but then it started to pour. I had to dry out my photography bag for the first time. However, it made for a great hike with lots of solitude and the fog was winding its way through Oneonta Gorge during the hike down. I was able to use my NDx4 without using my CIR-POL. [/caption] This is soon to be the very first hike for the members of the “Adventure’s Club.” After a few hours and good conversation about the many hikes in Oregon, a group of us decided to start an adventures club and choose a trail to hike each month. Since I was enlisted to choose the first hike, I was needing to make sure that our first hike met a few requirements….moderately challenging, accessible during the winter, within driving distance from Portland and offering plenty of scenery. Finally I remembered the Clackamas River Trail. This is a moderate hike that can be accessed from two sides. I have hiked this trail several times and I always return due to the awesome view of Pup Creek Falls and the many sites along the river. This trail is open year round. 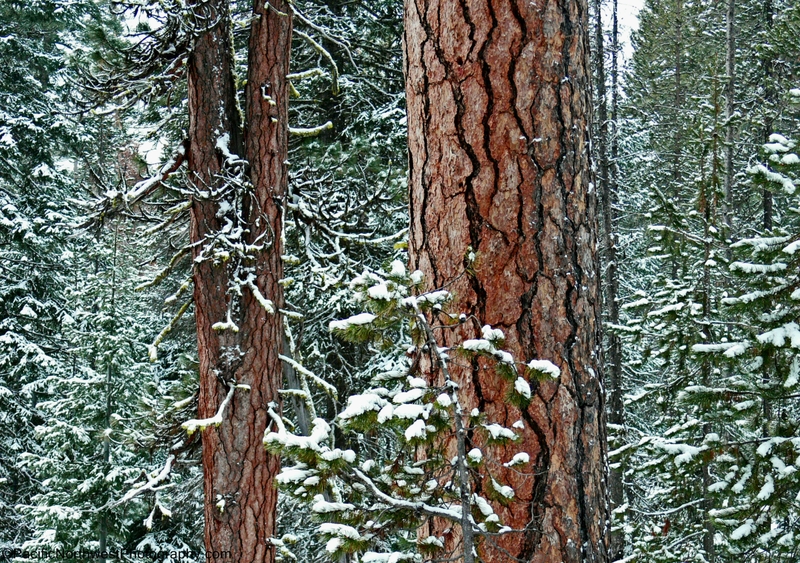 The Pine trees in Central Oregon, during winter, make for great photo opportunities when the snow is falling and the clouds are overcast but bright. One this day, it was snowing pretty hard and several inches had accumulated on the trees. The glare was pretty high, so I used a lower exposure and several filters. I had my cir-p as well as an NDx4 that I used. Good thing I had my tripod with me. The wind was pretty fierce, so I had only seconds to get off some shots before having to clean my lens.